During the mid-term elections, history was made. One hundred twenty women won seats in the U.S. Senate and the U.S. House of Representatives. There were 13 women running for governor, 9 of them won office and more women of color ran than any time in our history. The campaign for women’s rights began as a small movement as far back as the 1820s. At that time, women couldn’t own property, had no legal claim to money earned and no right to vote. Along with abolitionist and religious groups, the women’s movement grew. In 1848, the movement was launched on a national level, organized by Elizabeth Cady Stanton and Lucretia Mott. Women came out of the Seneca Fall’s Convention with the belief that they were autonomous individuals who deserved their own rights. Susan B. Anthony and other activist went throughout the country, constantly lobbying state and national leaders to give them their rights, with little success. The passing of the 15th Amendment, giving black men the right to vote but failing to include women, only angered and further encouraged their fight. 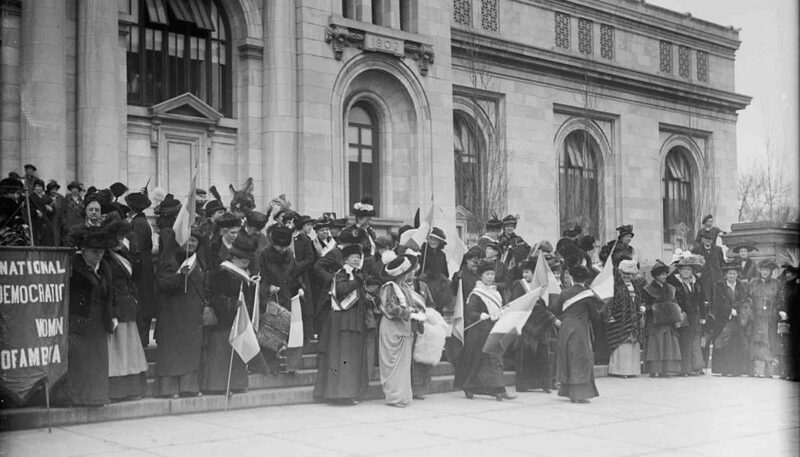 After nearly 150 years of fighting, on June 4, 1919, the 19th Amendment passed granting women their rights. Since the passing of the 19th amendment, women have played an influential role in our politics, creating stronger communities and a stronger democracy. By running and getting elected to office, women have shaped laws and policies that reflect their interest and needs, enhancing our society. While women have gained the right to vote, men have still dominated the agenda. For too long, men have made decisions that have, at times, been bad decisions for women and our society as a whole. Generally speaking, women have different political views from men. For example, during the mid-term elections men were more focused on the economy and taxes, while women focused more on education, health care, birth control and the environment. Women more often make the concerns of families an integral part of their decision-making process. Since the Trump election, women have become more actively involved in changing the political environment of divisiveness and hatred. Nearly 80 percent of the women that chose to run in the 2018 election cited their discontentment with the current administration as their main reason for doing so. As of the last census, women make up approximately 51 percent of the population. Until this last election only 23 percent of the Senate and only 19.5 percent of the House of Representatives were female. With this last election, women have a chance to take over leadership roles and further influence how decisions are made. It is not enough to stand by and allow males to dominate the decisions that influence our environment, health care, or international politics that affect our lives. 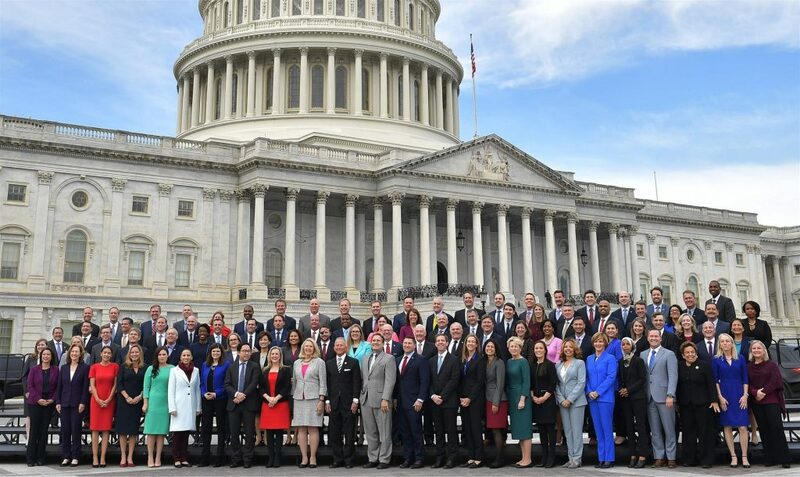 The majority of women elected in 2018 were more qualified than most of the males elected. As seen in this current administration, experience matters. Throughout the world, historically, we have seen women on the front lines in communities getting people registered, making calls, getting out the vote and making a difference. Throughout the world we’ve seen great political female leaders of countries, such as Catherine the Great, Queen Elizabeth, Benazir Bhutto, Margaret Thatcher, Angela Merkel, just to name a few. Ladies, you have worked hard, you have tirelessly campaigned and sacrificed personal and family time to accomplish your achievements in this last election. You did not fight this hard to turn over your power to the “good ole boys”. The accomplishment of getting elected offers you the opportunity to “make a positive change and a positive difference” in our lives. Ladies — now is your time to lead!